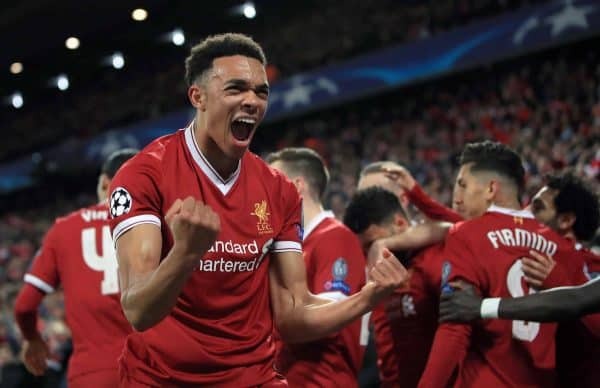 Liverpool right-back Trent Alexander-Arnold believes Man City targeted him in the Champions League—but he passed the test with flying colours. The Reds beat their Premier League rivals 5-1 on aggregate, after coming through a nervy and tense affair at the Etihad to come from behind and win. Conceding just one goal across 180 minutes to a team with as much firepower as City meant every player in the defensive line had to be at the top of their game, and that went double for Alexander-Arnold. It was apparent at Anfield, then again at City, that a tactic of Pep Guardiola’s team was to constantly look to feed Leroy Sane and isolate him against the inexperienced Alexander-Arnold. But the 19-year-old was near-flawless and admits he has shown himself there’s another level to his gameplay. “You look forward to playing these type of games and testing yourself,” he said, as reported by the Echo. “I got the opportunity to do that over the two legs and I tried to do the right things and win my personal battles. “Hopefully, I came out on top and I hope everyone sees it that way as well. “I guess Man City looked at it and [felt] I’m the weak link. Maybe that gave me that underdog mentality and I tried to prove them wrong. “I wanted to show them I’m not the weak link in the team. “It was a different test for me. It was a bigger, harder test. I had to play to a better level than I’ve probably ever played before. It tested me to a new level. “In that sense, yeah, it has taken me to a new level and I know I’ve got that in me now. 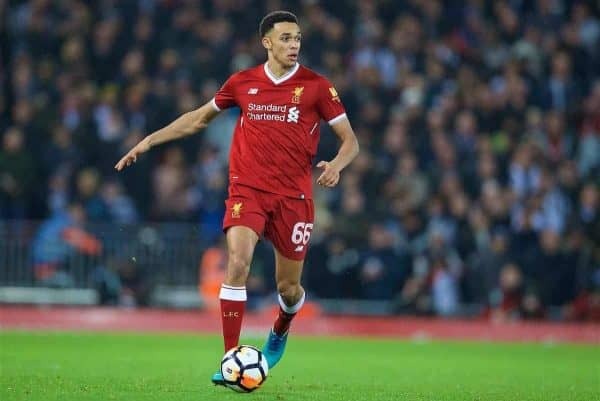 Alexander-Arnold has still only played 38 times for Liverpool’s first team, which highlights just how well he did against players with far more experience and know-how. He was hailed as the best player over the two legs by Steven Gerrard, while Jurgen Klopp said his right-back was “outstandingly good” after the first fixture. The big test now for Alexander-Arnold will be to show that he deserves to remain in the first 11, not just while Joe Gomez is injured but after his return. 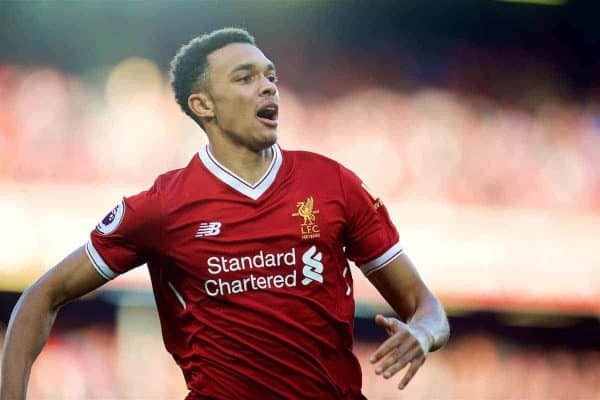 That task will be all the more difficult with Nathaniel Clyne‘s timely return from injury, but the confidence and consistency in Alexander-Arnold’s game over the past two weeks should give him the belief to continue in that vein. He’s another tremendous Academy graduate for Liverpool, and surely has a long and successful career ahead of him at Anfield.